The following email is a scam, it looks confusing and encourages readers to click on a link. And there are many links in this email, all pointing to a hacker’s virus infected site. You can also see past payments you’ve made online by logging on to www.chase.com/creditcards and clicking "See/cancel payments" under "I’d like to …"
Never trust emails like this, especially if you don’t have an account with the company. Identify which company the email claims to be from. In this case, it’s a company called Chase. Place your mouse pointer over a link, but don’t click. Look at the bottom of your screen, you should see the real link it points to. (You need to be using a modern web browser for this to work). If the addresses don’t match then it’s likely a scam. E.g., the email above talks a lot about chase.com. This is a real company in USA. When I place my mouse pointer over the link, my browser says it goes somewhere different. The addresses don’t match, this is a scam. See the picture on the right. As if malicious web sites weren’t enough of a problem now we have web sites with fake warnings that look just like the real thing. 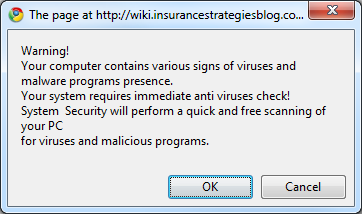 Google Chrome has an excellent system that warns of dangerous web sites. 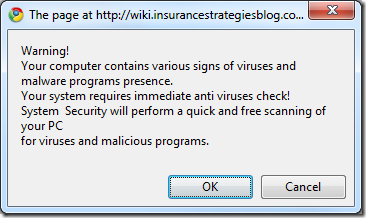 When you click on a link to a dangerous (malicious) site, hopefully it will give you a large red warning page. Now someone has been using this to trick people into thinking the website is malicious. It also asks you to download something called “Google Chrome secure updates” – this is bad, you shouldn’t have to install anything. This web page has been blocked based on your security preferences. Click ‘OK’ to download and install Google Chrome secure updates. So never trust web sites that ask you to download anything, and if in doubt search Google for more information. Samsung’s new phone, the S8500 Wave, has appeared in Germany with its memory card infected with malware. And it’s fairly dangerous, if it installs itself onto your computer it will download backdoor programs and spyware, making your computer wide open to hackers and criminals. Prevention is definitely better in these cases. 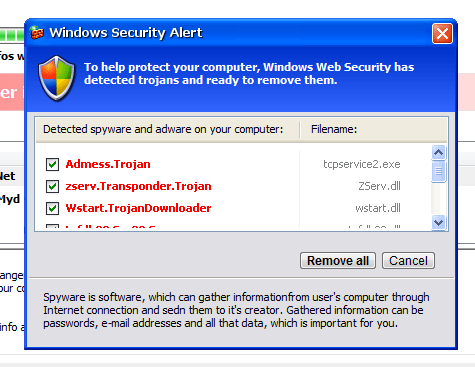 The malware can affect Windows computers if you connect the phone to the computer. It’s as simple as that. 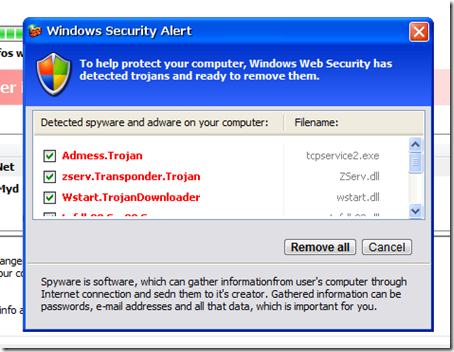 Install a good antivirus package. 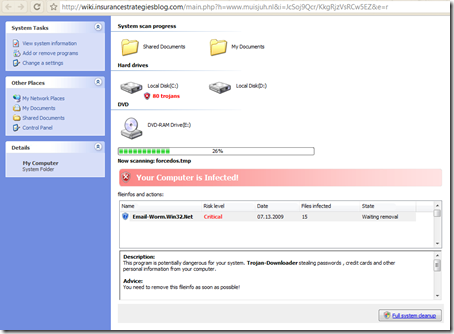 This type of problem is becoming more frequent – ordinary consumer devices infected with malware at the factory. Another email designed to scare you and possibly make you curious enough to open an attachment. If you receive this email, delete it. Do not open the attached file.